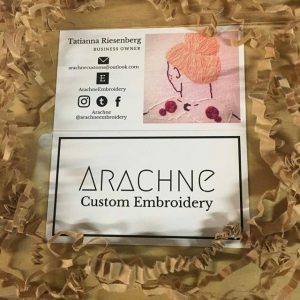 Featured vendors for week 12 of Beaverdale Farmers Market include an embroidery artist and a coffee shop. 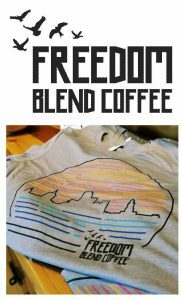 Freedom Blend Coffee sells coffee beans, beverages and merchandise at the market. Freedom Blend was founded in 2011, and in 2017 opened a coffee shop at 2329 Hickman Road, Des Moines. Its fair trade coffee is roasted in-house, ensuring the highest quality while supporting communities locally and globally. Freedom Blend Coffee empowers young adults through work training and life skills. The business teaches job skills and gives young adults invaluable knowledge and work experience for future employment. @freedomblendcoffee on Facebook and Instagram. Patricia Holly will perform in the music tent for the first time, with Kyle Bochart. We’re excited to hear them (previews online). Remember to leave a tip in the jar and thanks!